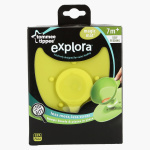 Tommee Tippee Explora Suction Feeding Mat | Green | Perfect for all Tommee Tippee bowls and plates. Make your baby's mealtimes absolutely mess-free with the help of this feeding mat. Designed with a powerful suction in the middle, this mat ensures that the plates and bowls placed on it are stable. Crafted from a high-quality, sturdy material, this feeding mat is quite durable. Feature 2 : Ensure stable with use of these sucker. 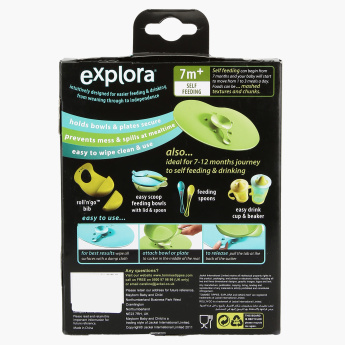 Feature 1 : Perfect for all Tommee Tippee bowls and plates. Feature 3 : Mess free.